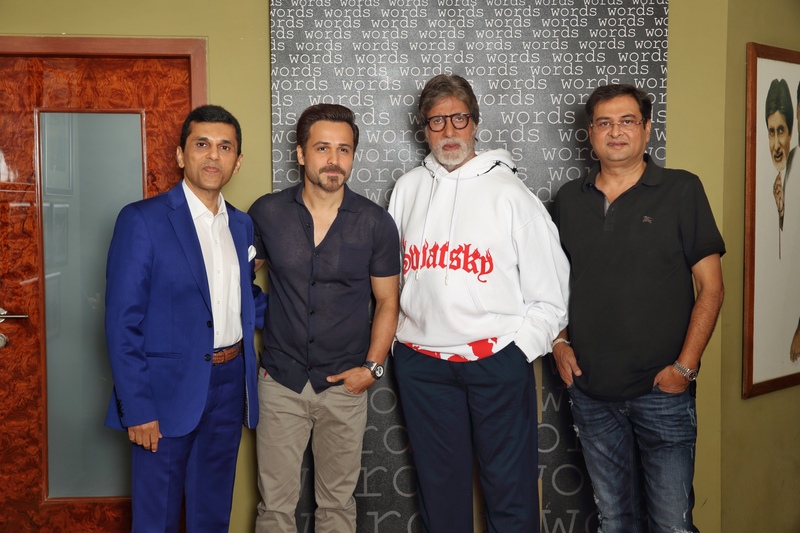 Movie connoisseurs have an exciting 2020 to look forward to as legendary Amitabh Bachchan and the dynamic Emraan Hashmi will be coming together onscreen for the very first time, for an intriguing mystery thriller produced by Mr Anand Pandit and helmed by Rumi Jaffrey! The taut thriller is all set to release on 21st February 2020, and marks the first time Amitabh Bachchan and Emraan Hashmi work with each other onscreen. The film is produced by Anand Pandit Motion Pictures & Saraswati Entertainment Private Limited. Anand Pandit Motion Pictures has been at the forefront of successful cinematic ventures such as Pyaar Ka Punchnama 2, Sarkar 3, Satyamev Jayate, Bazaar and the recent blockbuster Total Dhamaal. 19 queries in 0.351 seconds.